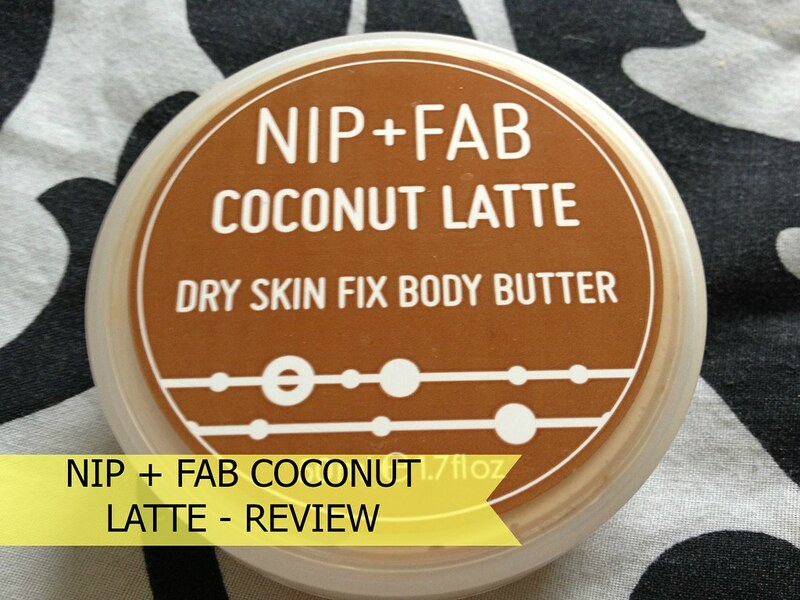 I make no secret of my love for Nip + Fab Dry Skin Fix Body Butters - they have become my favourite body butters to use. I have extra dry skin and these products really are amazing when it comes to soothing and moisturizing the parts of my body that I can, and have, quite literally make bleed through scratching. Horrible - but true unfortunately. Whilst I already know I adore the scents Pistachio Sundae and Mango Smoothie from this range, I was yet to try the other two: Coconut Latte and Cherry Tarte. The product fulfilled all of my expectations: deeply moisturizing, soothing, non-greasy and it leaves the skin feeling soft and pampered. 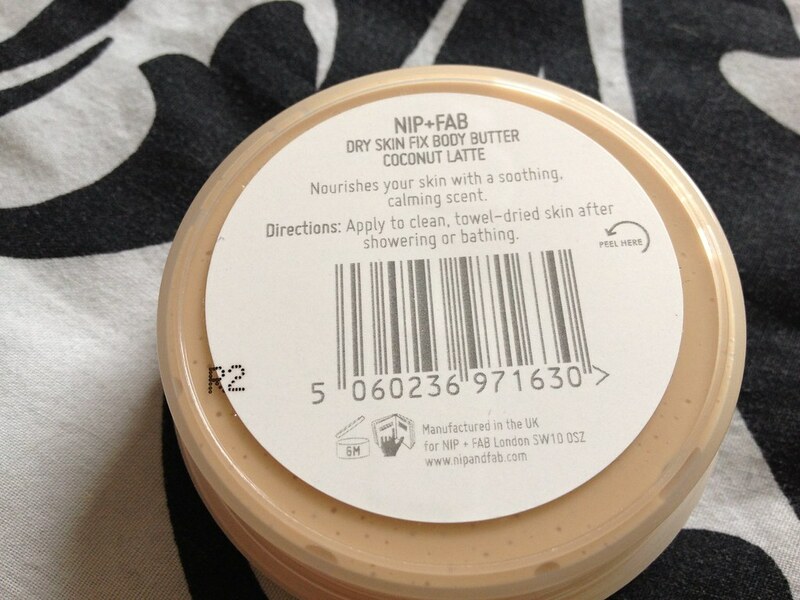 I can't fault the Nip + Fab Dry Skin Fixes at all. I love them. Now, I've also made no secret of my dislike for strong coconut scents. I don't know why - I just don't like them. Luckily this isn't overly coconut-y - in fact, to me, it smells slightly of cocoa and coffee more than it does coconut. It's subtle, in comparison to the other scents I've tried from this range, but it does last on the skin a similar length of time to the others. Although it's still not my favourite I'm glad I tried it and I would recommend it for anyone who doesn't like the candied nutty scent of Pistachio or the very very fruity smell of Mango. 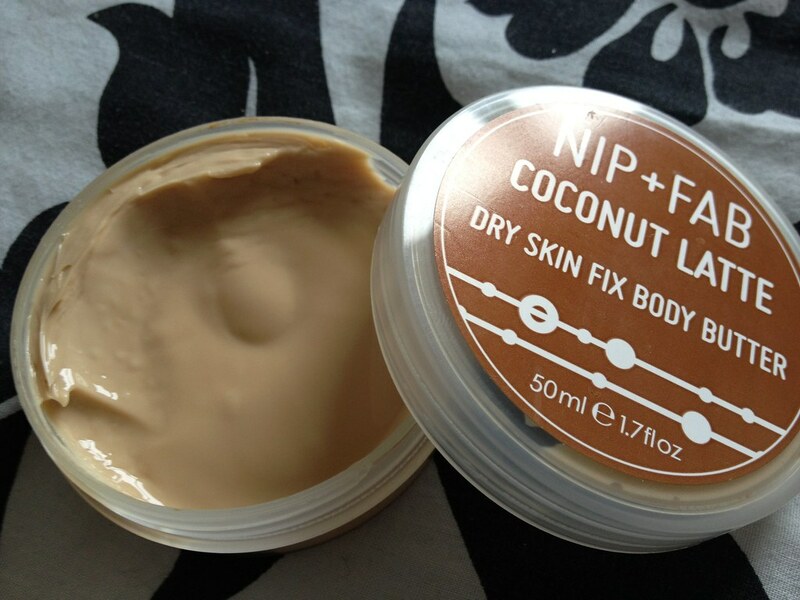 Nip + Fab Dry Skin Fix Body Butters are available at Boots, Sainsburys and online from the Nip + Fab website. 50ml £2.95. 200ml £9.95. Available in four different scents: Coconut Latte, Mango Smoothie, Cherry Tarte and Pistachio Sundae. Follow Nip + Fab on Twitter and Facebook for news, updates and competitions. 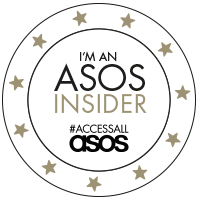 I got one of these in a Glossybox and can't wait to give it a try, I do love me a good Body Butter!